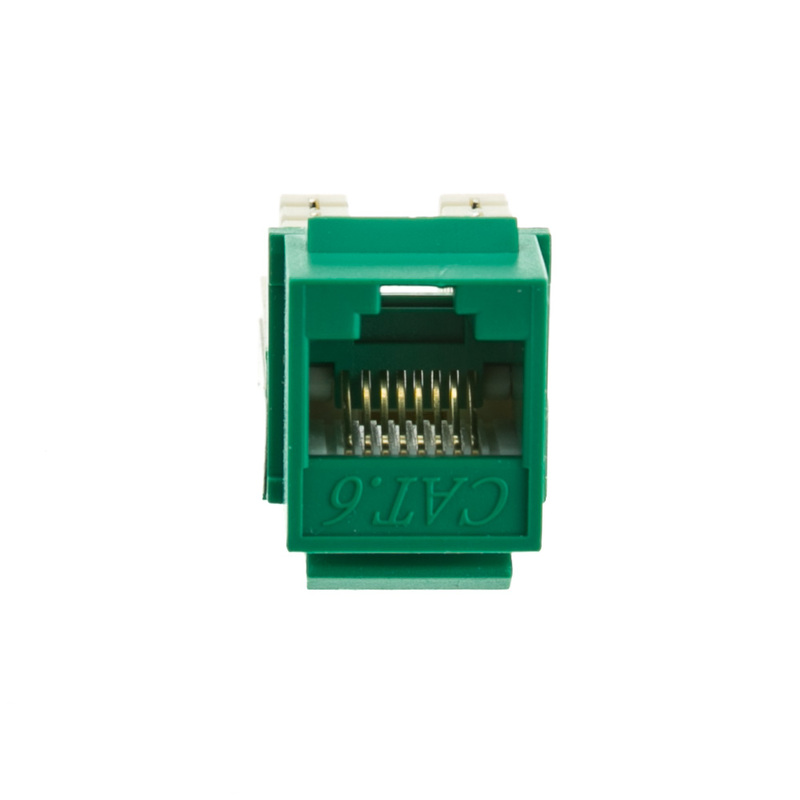 CableWholesale is here to offer everything you need for your RJ45 to 110 punch down connections. 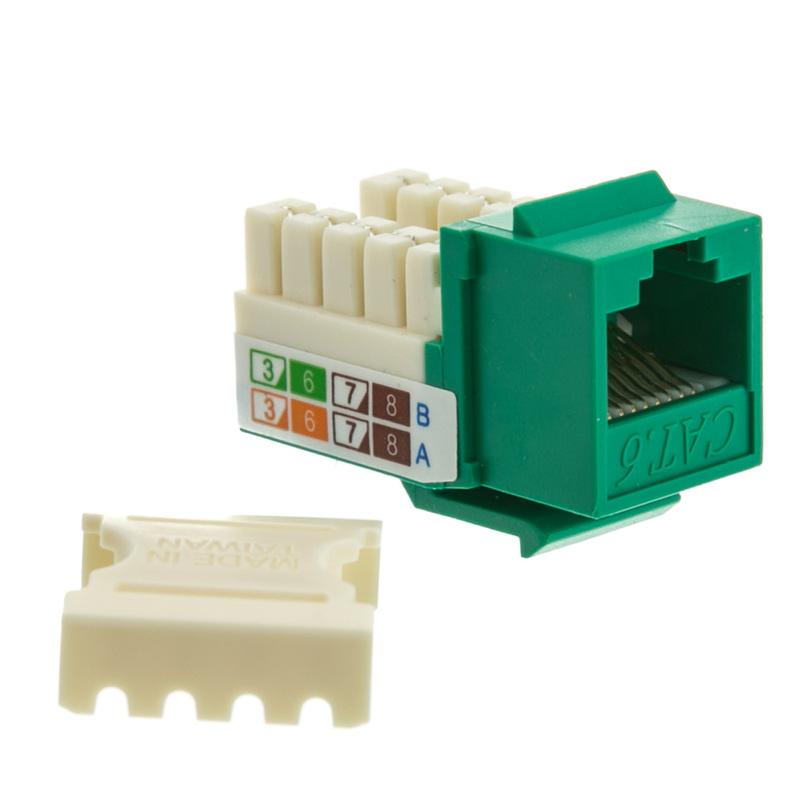 Our Green Cat6 Keystone is an easy to use product that can be installed without any tools. 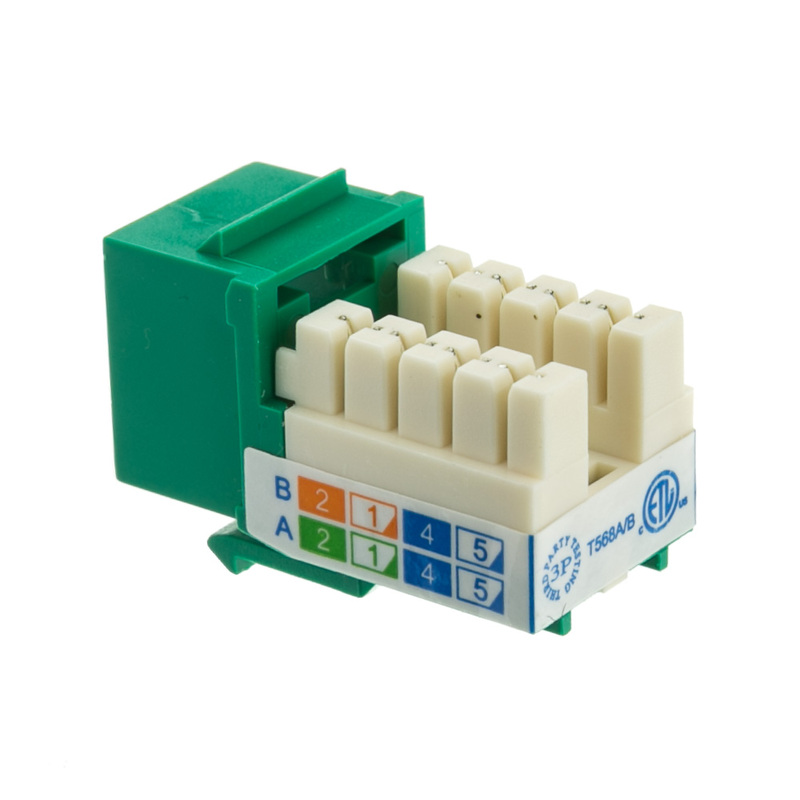 Simply compress its plastic cover on your wires and it will be ready to work in any environment. 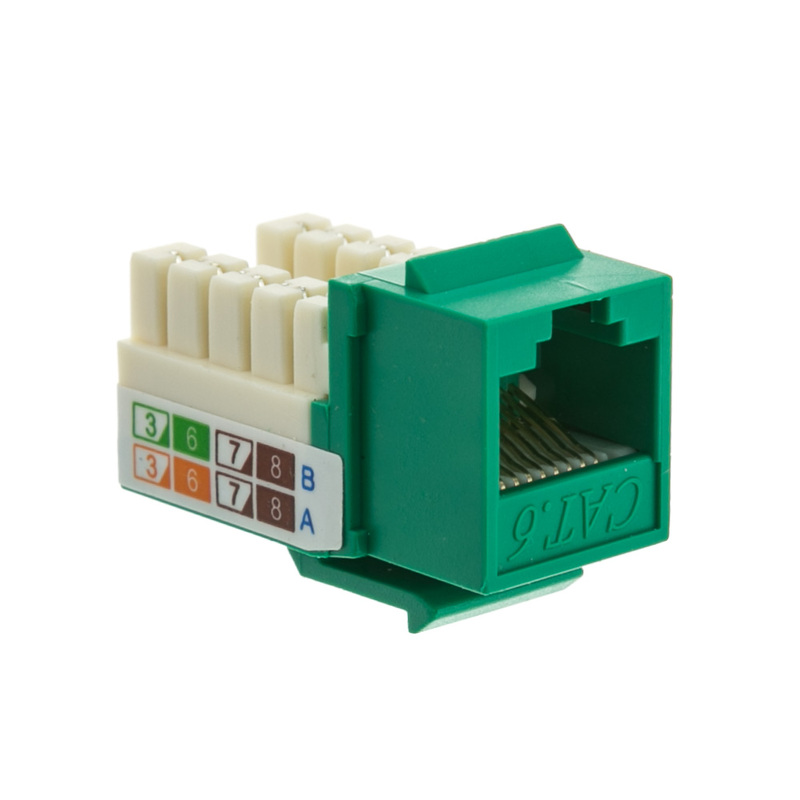 Between its pure copper conductors and gold connectors, this is a high-quality product that actually exceeds the EIA/TIA-568-C standard. 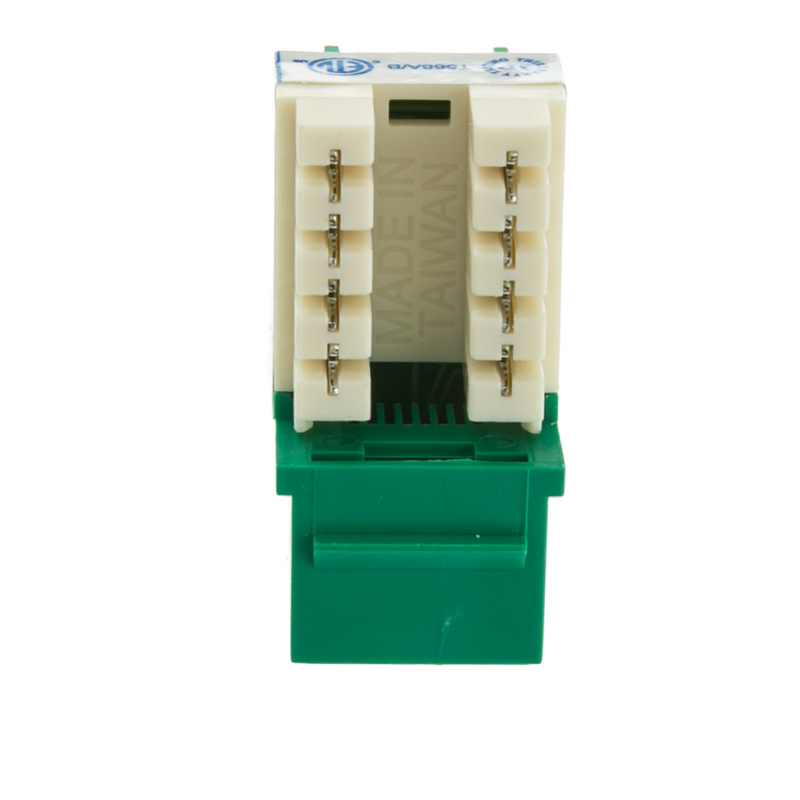 The network setup process is even easier because this keystone works with our mount boxes, patch panels, and wall plates. From data transfers to phone lines, this keystone offers great transfer rates with both gigabit speed and ATM products. Order yours today, or contact us if you have any questions! Clearly marked all color markings and labeling are precise. JAck was easy to read and terminate.